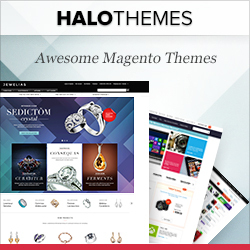 Affilicate Program - HaloThemes.com: Our affiliate program allows you to earn money by promoting our services & products. Our affiliate program allows you to earn money by promoting our services & products. To get started, simply download our ads and display them in your website's sidebar. If a user signs up for a HaloThemes subscription after clicking on our ad on your site, you earn an affiliate commission. 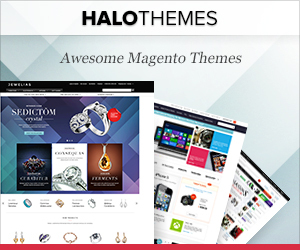 Sign up and become a HaloThemes Affiliate. 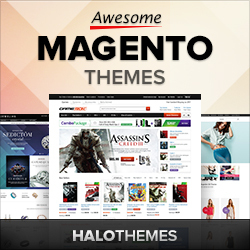 You do not need to purchase a theme from us in order to become an affiliate. Grab your affiliate code and place it directly into your site. 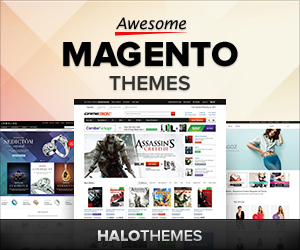 HaloThemes provide you will all promotion banners. All successful sales you direct from your website via your affiliate links and banners. Earn you an outstanding 30% of that sale. HaloThemes will pay out commissions within 15 days from the end of the month. Example: So affiliate commissions for August will be paid out by September 15th. You aren’t allowed to earn commissions on your own purchases. This is considered to be fraud and we will reverse these commissions. What requirements will I need, to receive payment? Orders must be leaded from your websites in order to be counted. We periodically check your websites if we do not see our affiliate links appears on your website we have full rights to reject your commissions. In case you do not put our affiliate links on your site but send the link to your customers. It does not count either. You will need to have Paypal account to receive your funds. We only accept PayPal at the moment, more payment options to come soon. In order to get paid. The affiliate program must generate two or more sales to exceed the $80 minimum payout. If a person clicks on your referral link and then later they click on someone else’s. Yours is the one that counts. If a person clicks a link, they have one month before the cookie expires. If they make a purchase within that month, then you earn the commission. If a person has visited Halo Themes before and then clicks a referral link. Earn an outstanding 30% on each referral! Join today and start earning BIG CAKES. Please Note Remember to replace YOUR_AFF_ID by your registered affiliate ID.